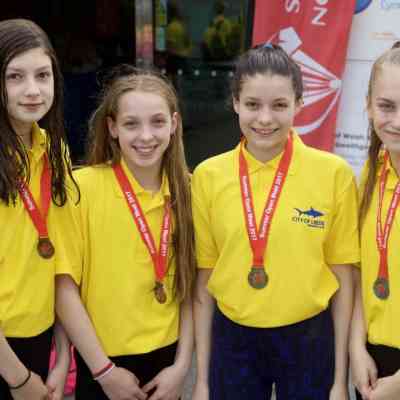 Well done to all the swim­mers who com­pet­ed at the Welsh Sum­mer Nation­als held in Swansea. The trip was a bril­liant suc­cess with lots of fast swim­ming, and a great expe­ri­ence for those swim­mers who were away from home for the first time. Strong sup­port from team­mates and staff helped bring home 9 gold, 4 sil­ver and 2 bronze medals from Swansea. A large team of 44, many of whom were trav­el­ling to an away meet for the first time, came home from Swansea with 31 medals; includ­ing 12 gold.